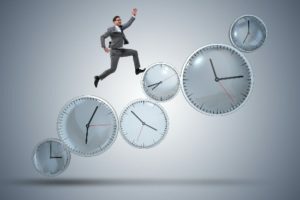 Learning how to coordinate your many responsibilities, team projects, and deadlines in an MSP business comes down to time management skills. Finding out how you can juggle a heavy workload is crucial for success in any workplace. Tracking your hours is one method that helps you discover where you spend your time and how you can become more productive. When tracking your time, look at the first tasks you complete. If they’re not your top priority tasks, then change your schedule to complete your top two or three tasks first. Once you finish the top priority work, continue with the other jobs you need to do that day. At least, you relieve stress when you finish the most important work at the beginning of your day. Map out the things you prioritized for the day, as well as anything else you need to accomplish that day. Include your personal time, as well. This lets you physically track your hours and workload. It also helps you to work toward the goals you have for your day. You can go old school and write in a physical planner or download a time management app for your phone. So many of your work hours are wasted checking social media and email. Leave all your Facebook, Snapchat and Instagram updates for after work. Try to put your distractions aside, making it possible for you to focus. This allows you to make better use of your time, spending your hours on the task at hand. If you want a productive day, make sure you get enough sleep the night before. You’ll not only feel more energized and refreshed, it will also improve your mood. When tracking your hours, include sleep in the mix. In your MSP business, when you keep track of the time you spend on a team project, it gives you a better sense of your role and the role of other team members. This holds everyone working on the project accountable for his or her participation and effort. It also helps build trust, responsibility, and better performance. When tracking your hours, you realize where you spend your time and how much you can do. If you are already bogged down with several deadlines, don’t be afraid to take a step back, letting someone else accept the job. Tracking your hours helps you know how much you can do so you can act accordingly. Running your MSP business is very busy. It may seem like there’s not enough time in the day to meet every deadline and complete each task. This is why tracking hours and time management skills are so important. Use your daily planner as a starting point to figure out what works for you to get the most productive workday hours.